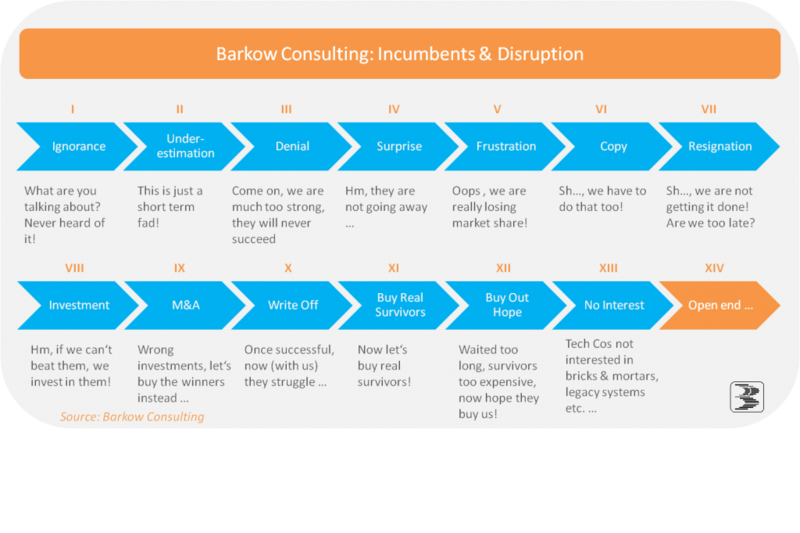 Having worked in, advised, researched various industries during times of technological change, we have summarized our view on typical development stages of incumbent companies in the chart below. As it is a typical (German) Easter habit to hide something (mostly eggs), we have tried this with some German humor buried somewhere in the chart. Hope you find it! Your feedback is highly appreciated and please feel free to share.